REEF, the Parent Teacher Organization, has several major fundraisers each year to support Roosevelt’s Computer, Art, PE and Music programs. Annual Fund Campaign: The Annual Fund Gets it Done! 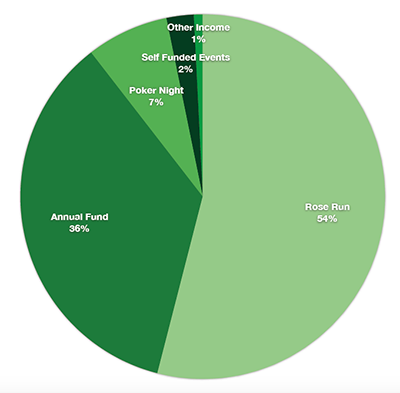 The Annual Fund Campaign raises significant funds for Art, PE, Computer, and Music programs. Every year, 100% participation is asked of every Roosevelt family. Learn more and donate online. 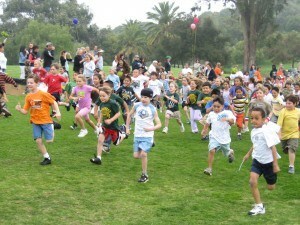 Roosevelt Rose Run: This annual Jog-a-Thon in the Rose Garden is Roosevelt’s second largest fundraiser after the Annual Fund. The students train for the Rose Run, practice asking adults for support, win fabulous prizes, and help support their school. Visit the Rose Run page to learn more. Poker Night: A fun spring event where Roosevelt Dads can compete in professional Texas Hold-em to raise money for the school. Party Book: Fun theme parties and events hosted by parents throughout the year. Chaucer’s Book Sale: Annual fall fundraiser for the library. Scholastic Book Sale: Annual spring fundraiser for the library. Apparel and Water Bottle Sales: Show school pride and support Roosevelt by purchasing t-shirts, sweatshirts and water bottles. Visit our T-Shirt Shop for more information.